The following post is intended to help principals address incidences of bullying. The below tips and strategies are not exhaustive and readers are encouraged develop their own best practice guides. More importantly, these suggestions do not replace policies, procedures, and guidelines put forth by local Districts and/or School Boards. This document uses the term bullying to encapsulate both traditional bullying and cyberbullying. When working with a perpetrator, target and/or bystander it is helpful to understand the individual’s lived experiences. Secondly, principals and school staff are expected to provide a safe learning environment for all. When an individual reports an incident of bullying, provide space for them to speak and to be heard. It takes courage to report incidences and the individual is to be commended for coming forward. Ask open ended questions to enhance your understanding of the situation including the frequency and intensity of the bullying. During the conversation the student may disclose what prompted them to come forward. This is a piece of information and it is beneficial to acknowledge the step the student has taken. Refrain from asking “why didn’t you tell me this before / why did you wait so long?” If students feel judged, they can shut down and feel unsafe. It is important to recognize the strength it takes to disclose delicate information. The questions asked should be sensitive and the student should not feel judged or shamed for coming forward. Validate how the individual feels. Feelings associated with fear, uncertainty, and trepidation are to be expected because bullying can have physical, emotional, mental, and psychological impacts. There can also be financial impacts if the student requires medical attention or if their lunch money is being taken. In addition to listening to the individual, observe their posture and demeanor. Is the person making eye contact? Is the student hunched over? Is the individual teary-eyed? What is their body language saying? Noticing affect is meaningful; however, affect is not the crux of the case. Those in a position of authority, need to draw out facts and specifics. When asking questions, be gentle and remember that the individual has taken a big step by coming forward and is entrusting you with sensitive information. Also, it takes time to articulate a sequence of events and translate feelings into words, so allow for pauses and for complex narratives. Those in a position of authority are required to balance empathy with neutrality. Empathy conveys support and understanding while neutrality denotes professionalism. In certain cases, the student that reports the bullying may have played a part in the incident. Although this does not excuse the other students, targets need to take responsibility for their actions. Principals have to be mindful of the information they receive. Principals need to know their students and have a visible presence at school. A strong presence allows principals to observe how students act on a regular basis. Principals are required to inform parents/guardians of incidences after facts have been collected. It is essential to understand the situation because principals must be able to answer questions parents/guardians may have. Parents/guardians have a right to know what their child is experiencing at school or on school property. Parents/guardians will ask for details, and principals must maintain confidentiality to ensure the well-being of all parties. Parents/guardians might also demand punitive action. However, principals are required to manage expectations and are required to assess where the bullying is coming from. Most importantly, principals have to follow District/Board policies and guidelines on reporting and enforcing disciplinary action. Where and when possible, principals should be proactive so problems do not escalate. The aim for principals and school staff is to be educative, proactive and implement preventative strategies such that students and school staff are knowledgeable about policies and can effectively intervene in cases of bullying. Ask if the student has shared this information with their parents, friends etc. This can potentially reveal the student’s support system. Inquire if the student has reached out to community services and/or helplines. If the individual has sustained injuries, has increased anxiety or fear associated with school, discloses difficulty sleeping, or other changes in mood/eating, encourage the student to connect with their parents and/or family doctor. Principals need not shoulder all the responsibility and students can exercise agency by reaching out to additional supports. While listening to the individual’s experience(s), specific details and names may arise. If the students are within the school, share basic information with teachers and ask them to keep an eye out for specific individuals and behaviours. If the alleged perpetrator is not a student, teachers are encouraged to provide support and monitor changes in attendance, academic performance and social engagement. Teachers, custodians, and other support staff are great allies and can be your eyes and ears. Ask teachers to document information and share insights with you because teachers know their students best. It is critical to get all the angles and collect and document information e.g. who did you speak to and when. In cases of bullying, creating a team/network is vital. Working within a team ensures that people do not burn out. Also, students may feel more comfortable speaking to certain staff members so it helps with team members have a basic understanding of the situation. Principals should also maintain regular communication with their superintendents. Needless to say, principals bare a lot of responsibilities and they, or their designate, are also tasked with coordinating details, ensuring safety and co-creating a resolution for involved parties. To ensure an equitable outcome, principals should be familiar with policies and protocols and liaise with superintendents, colleagues and community service providers such as law enforcement. If the incident requires further investigation or the incident is criminal in nature, principals must contact local law enforcement. At times, police may caution students and explain that their actions are not funny and could constitute a crime. Police provide a form of education which may benefit parties involved. When involving and working with law enforcement, principals and educators must follow their District’s/Board’s guidelines, including disciplinary codes. Document objective information material to the reported incident. Documenting demonstrates leadership and ensures transparency. How did you feel before, during, and after the incident? When addressing bullying remember that students are at different developmental stages. Actions taken have to address the situation and match the student’s developmental level. Principals have to take each case one at a time because students might have special needs and/or have challenges at home which contribute to a student’s behaviour/actions at school. When students are older, they have a history. Principals need to be fair based on a student’s needs, family dynamics and past experiences. 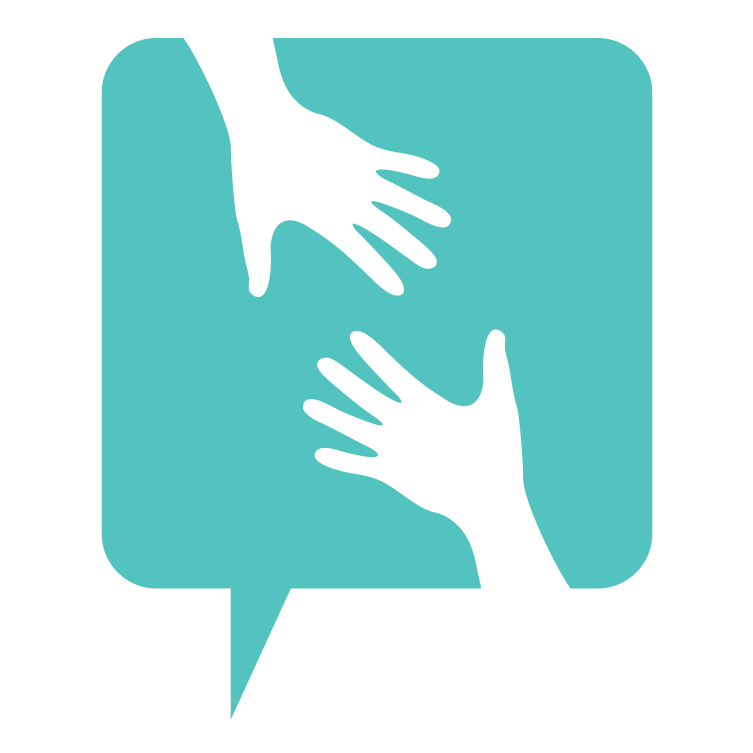 If you feel stuck or overwhelmed, connect with fellow colleagues or consult school-based policy documents. Initiating conversations, while maintaining confidentiality, demonstrates a commitment to creating a safe learning environment. Anti-bullying practices and the manner in which students are respected and listened to contribute to a safe learning environment. Everything that principals and teachers do (or do not do) influences the school climate. When an incident is reported, and names of the target, perpetrators and bystanders are disclosed, meet with the parties in quick succession. It is essential to obtain facts and get a better understanding of the events that have transpired. There is an urgency to get all the information before students go home because students can call/text each other and collaborate on stories. Principals do not get a true sense of the situation if they postpone conversations. It is vital to deal with incidents as quickly as possible. Principles and staff juggle many responsibilities and writing notes on paper is not the most efficient manner in which to support parties who perpetuate, experience, witness and/or facilitate bullying. 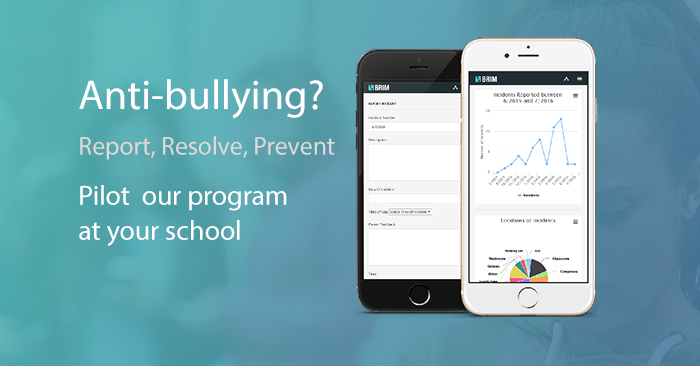 BRIM is a robust software which can be used by students, staff and principals to report and monitor incidences of bullying. Users can report incidents anonymously in real time and upload relevant images, which is helpful for explaining and understanding cyberbullying. Secondly, principals and staff can stay on track with notes and the software has built-in reminders. Retaining thorough notes in a consistent manner can be very helpful when meeting with superintendents, school staff, parents and community members. Aside from reporting and maintaining accurate records, BRIM provides educational material and templates, thus, streamlining processes, and ensuring efficiency, transparency and consistency. In summary, cases of bullying can be complex and remember that you do not have to shoulder the burden alone. Policies and guidelines have been developed to support school staff, parties involved and create a paper trail to ensure due diligence. District/Board policies are intended to provide a framework to operate within. Principals can also lean on fellow principals, staff, support staff and specialists such as social workers, psychologists and counsellors for information and insights. Having support will facilitate working with parties involved. Technology, such as BRIM, can be implemented to ensure clarity and equip students with a tool to safely disclose experiences of bullying and cyberbullying. When working in the area of traditional and cyberbullying it is vital to maintain the dignity of those involved in each case. Lavina Sadhwani is a BRIM advisor and enjoys working with others to build a future that is safe, inclusive and free of violence. She is a visionary who combines practical and theoretical information to better the world for those in the digital sphere. Lavina`s interest and research revolves around peace promotion and educating others about cyberbullying. Lavina is currently working with a local agency to explore cyberviolence among youth. Interested in learning more about Lavina and her work? Check out her website!